Whether you start or end your day with a shower, you’re going to spend quite a bit of time in there. Have you wanted to improve your shower experience in the past but the thought alone stresses you out? Luckily, we're here to wash those worries away. You’re not alone in wanting to improve the performance of your shower. 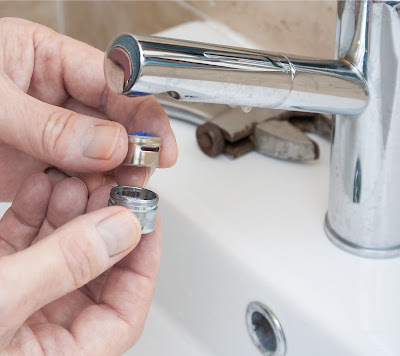 Most homeowners and renters have the standard shower mount: a 6-inch shower arm with a 45-degree bend, a ball joint attached shower head and a universal fitting to connect it all to the water supply. This typical setup is an excellent starting point because of how well it lends itself to many configuration possibilities. We’re going to give you a few options that don’t require bathroom construction or remodeling to create the wonderful shower experience of your dreams! The quickest and simplest shower head upgrade is to remove your current single function shower head and install a multifunction shower head. If you want to de-stress, look for a massage spray feature with a pulsating stream. Many multifunctions include a stream feature; a continuous and steady flow from a single point or a few points so close together they feel like one. Lastly, you’re likely to notice a spray function, a widening array of holes that disperses the water over a wider area. There are many more options, but these are the most frequent ones you are likely to come across. One quick suggestion to spruce up your shower is a fresh Nikles Massage Multifunction Shower Head (in Chrome or Brushed Nickel). This economic and environmentally friendly shower head features a soothing combination of rain and massage functions to switch between. Not only will you feel relaxed and refreshed, but you’ll be able to hose off without hosing your wallet. 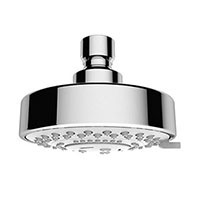 Rain shower heads have come a long way since their creation and now function as efficiently as other types of shower heads, creating a steady flow over a wide diameter. Though only single function, rain heads cover broader areas than typical spray settings on standard shower heads. Don’t believe the common myth that you have to tear out your shower ceiling to install a rain shower head. You don’t need to gut your bathroom to achieve the spa-like rain head experience. Since rain shower heads are angled downward for more significant impact and are also wider, you’re going to require an extension for your standard 45-degree shower arm, a new, longer 45-degree shower arm, or a 90-degree shower arm. 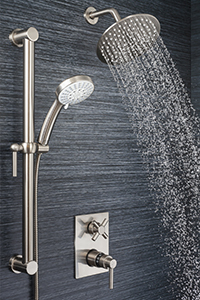 The proper length shower arm allows the full functionality of a rain shower head allowing you to stand under a straight, vertical stream of water versus having to stand up against the wall. Today, there is an abundance of brands that produce rain shower heads to fit any budget, which means that matching your bathroom’s aesthetic is easier than ever! If you’re looking for even more functionality from your shower head, consider switching to a detachable handshower. 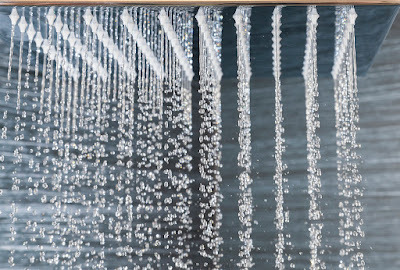 Handshowers let you shower from almost any angle with both single and multifunction settings. These options offer a more convenient way to clean yourself, your shower, your pets, and even home decor. Handshowers allow you to get clean in new angles without having to practice yoga.They’re also great for families with kids, helping to wash their hair without getting soap in their eyes (the bottle said ‘No Tears’, but we know that’s not true). 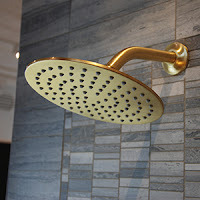 Before taking the plunge converting to a handshower, first consider if you want a standalone handshower or a more complex option, like a combination handshower with a showerhead unit . 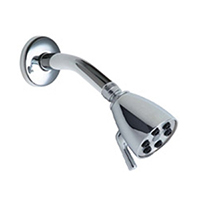 There are numerous ways to mount your handshower such as a water supply elbow with mount, a drop-in mount, or a wall mount. 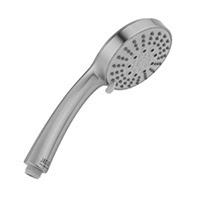 When choosing a combination shower head and handshower, a T diverter is a super simple solution. Another benefit is that all of the hardware, including your hose, comes in an assortment of finishes to match your bathroom decor. Showering is a big part of your life so you should get the most out of your shower. 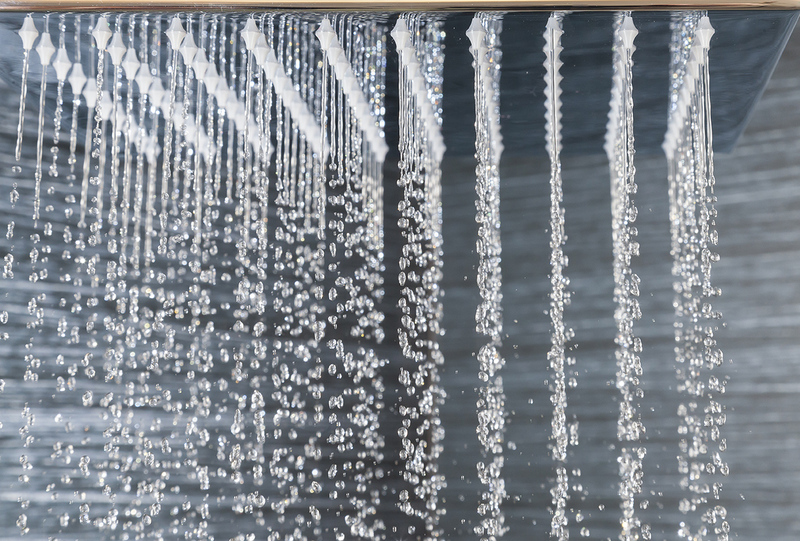 If you can’t decide between all the options available, feel free to call, email, or visit us and we will be happy to help solve your shower situation. After all, you deserve the best.